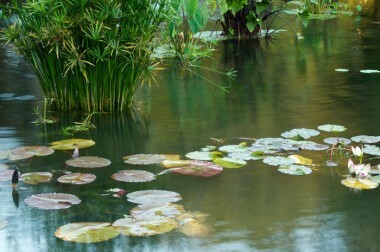 This impression captures a Monet-like feel with water lilies, papyrus and lotus at the Terrace Pool as the wind gently stirs the water; some what reminiscent of the healing waters at the ancient Pool of Bethesda being moved by an angel. Designed 150 years ago and restored in the 1980’s after being dry and in disrepair for decades the pool is once again a grand gathering place and a stately symbol of the renewal of Central Park – one of NYC’s finest treasures. Urban renewal NYC-style.